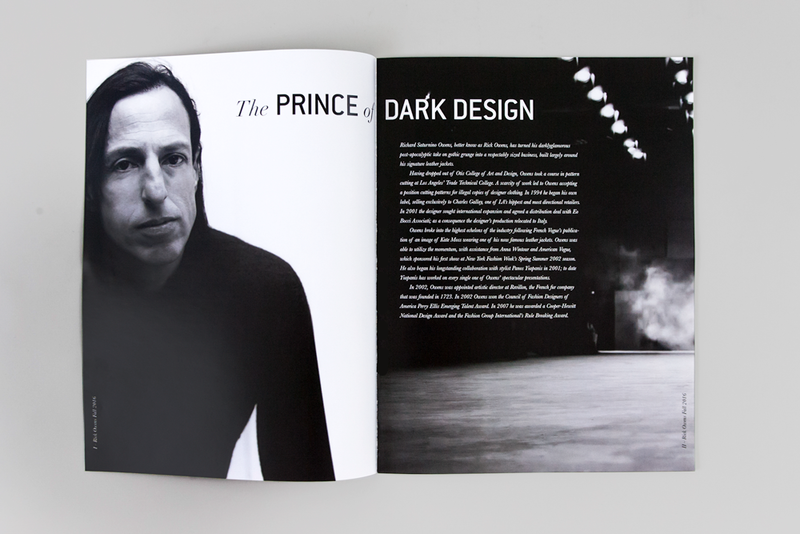 This is a fashion catalog designed for fashion designer Rick Owens. 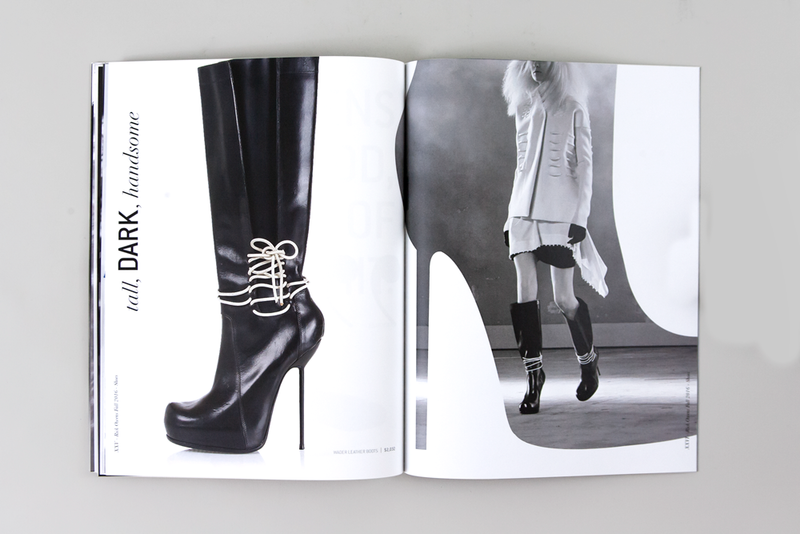 Rick Owens is a high end, detail-oriented goth/grunge designer who is inspired by shapes, textures, and nature, so the catalog echoes these themes. 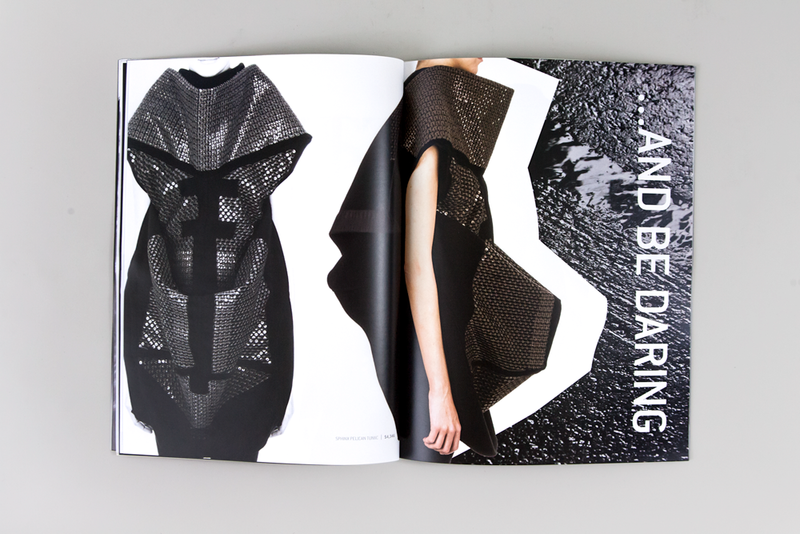 The catalog was not only designed to look "grunge" and edgy, but also to be cool and hip, as modern musicians and rappers are often seen wearing his avant-garde garments.